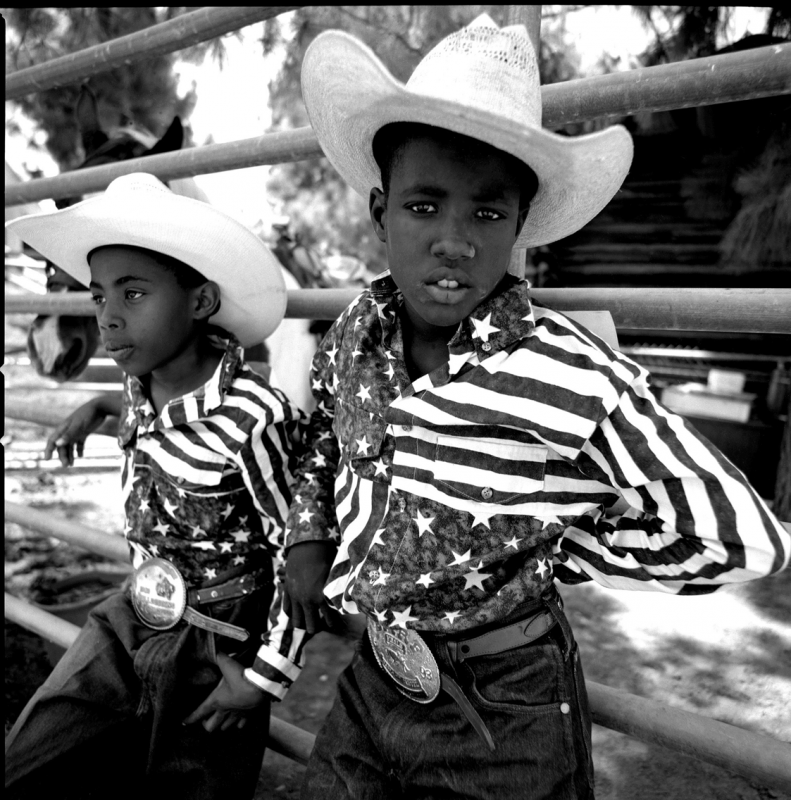 This portrait is from photo documentary on Black Cowboys which commenced in 1994, exploring and examining the elements and regional influences within this developed sub-culture. At the end of a hot dusty afternoon I was getting ready to pack my gear and drive away. It had been an uneventful day until I walked by the corral and was captivated by these two brothers that were relaxing between events. In that moment and with their stars and stripes in their eyes, with a glint of hope and young dreams, I saw the hardship endured by generations before. I loaded my Hasselblad with a roll of black and white Kodak T-Max and went to work.